When a summer heat wave hits, I enjoy cooling off by heading to the Oregon Coast and digging my supper from the sea. 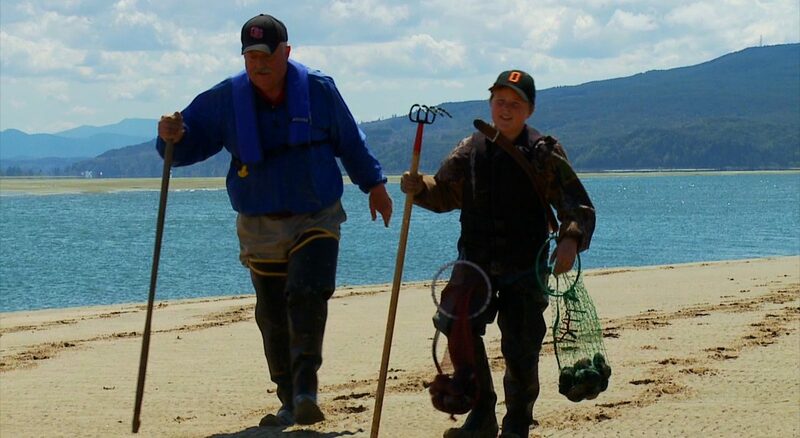 The summertime low tides are perfect for this adventure as we cool off with cockle clamming. 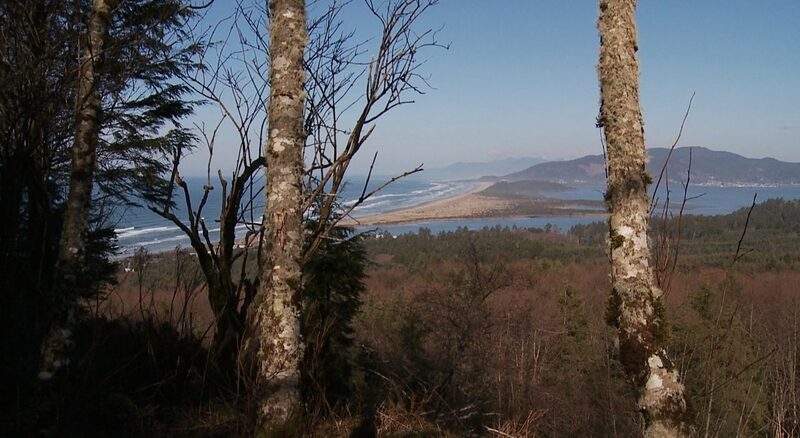 A great spot for beginners is at Tillamook Bay, where the four mile long Bayocean Spit offers a hike or a bike ride to reach clam heaven. 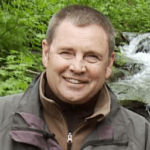 Birt Hansen is an old hand at bay clamming because he grew up near Oregon’s Coos Bay and spent childhood days exploring tidal flats, backwater sloughs, and freshwater ponds. Among the strongest and most lasting memories for this gentleman are youthful times in the sand and muck digging for cockle clams. Our clam of choice is called “cockle,” and it didn’t take Cole Hansen to figure out how it was done. He was soon raking up a storm in the soft sand. 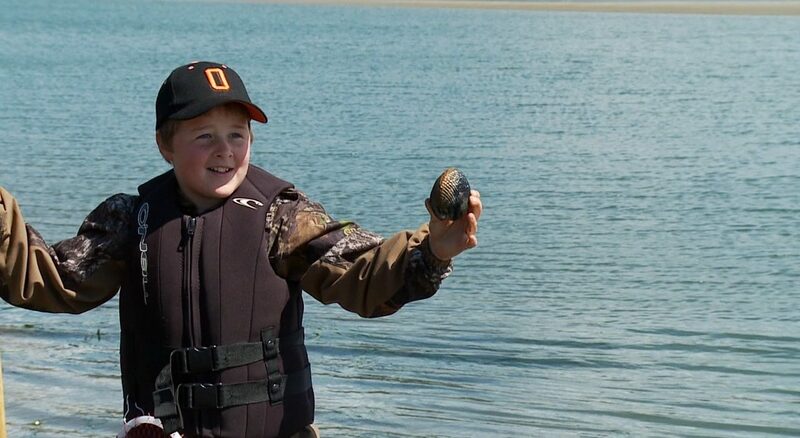 Some of the cockle clams were as big as baseballs and he sported a huge smile as he gained more confidence in the game. “Man, that’s a beauty, Cole,” noted his granddad, who smiled with obvious pride that his grandson had learned the ropes of this recreation so quickly. Raking or digging bay clams is so easy anyone can try! 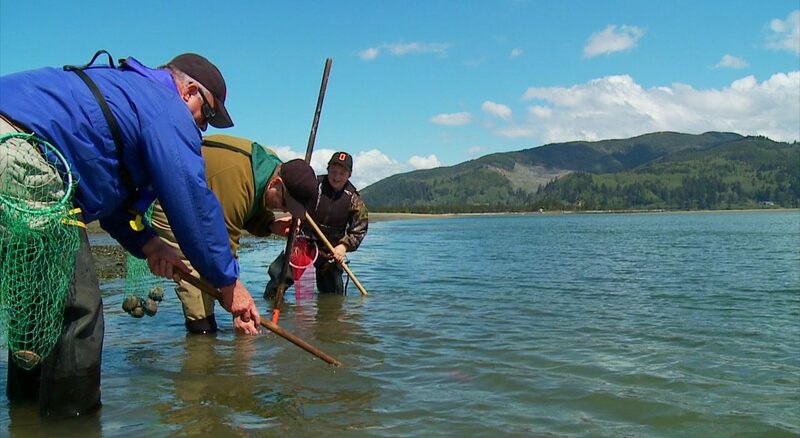 All you need is a rake or a shovel and if you are 14 years or older – an Oregon Shellfish License. Each clammer is allowed 20 cockles and you must use your own container. He prefers cockle clams in chowders or fritters or simply steamed open and eaten right out of the shell. He said they are always a hit with a crowd. For this recipe, Bob began by sautéing 1 pound of Italian sausage, 1 cup chopped onions, half a cup chopped parsley in two tablespoons of butter. I coarsely chopped 2 limits of medium-sized cockle clams. Bob combined the two and then added 8 cups of bread croutons (I like to use a bag of unseasoned stuffing) that had been drenched in clam broth —he stirred the mixture to the consistency of bread dough. We filled each half cockle shell with a tablespoon of the mixture – followed by a topping of parmesan cheese and placed the stuffed clam shells on cookie trays. We popped the trays into a 400 degree oven for 5-10 minutes – or until a light brown. A group of eager friends had gathered to try the latest recipe and they couldn’t wait to dig in. It was delicious and a fine payoff to a Bayocean Spit adventure. I think that the best part of this recreation is that even the littlest ones can do it and have some success – it offers a little bit of mud or sand, a whole lot of estuary water, but there are lots of clams. All of it adds up to a lot of family fun. Directions: preheat the oven to 400 degrees f.
In a medium pot, bring 6 cups water to a boil over high heat. Place the clams in the pot and let them steam until they open, 5 to 6 minutes. Remove the clams and strain the water from the pot (which is now clam broth) and reserve it for later use. The shells are set aside for later use. 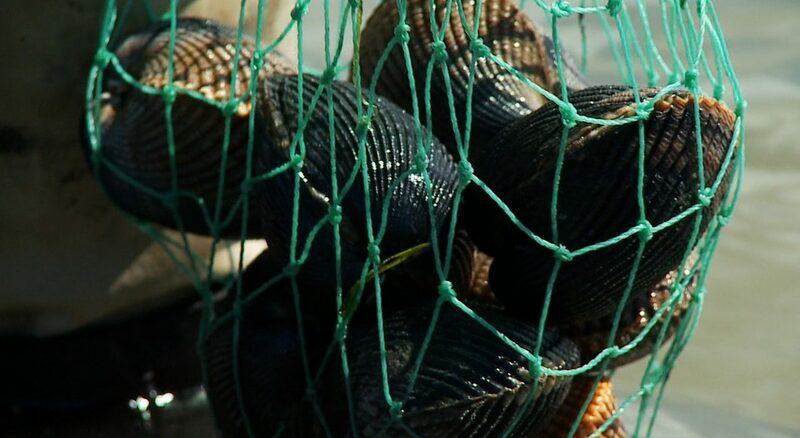 Make sure to remove any muscles left on the shells and discard any broken shells. In a large skillet, over medium-high heat, melt the butter and add sausage and onions and parsley and cook until the onions become translucent. Add the chopped clam meat and cook for 3 to 4 minutes longer. In a large mixing bowl, add the clam broth to the croutons and fold together. When the croutons have absorbed the broth, add the hot ingredients to the bowl. Divide the mixture into balls, about 5 ounces each or 3 inches in diameter and place firmly into the shells. Place the shells on a sheet pan into the oven until the outside of the stuffing is toasted brown, approximately 10 minutes. The stuffed clams are now ready to be served.